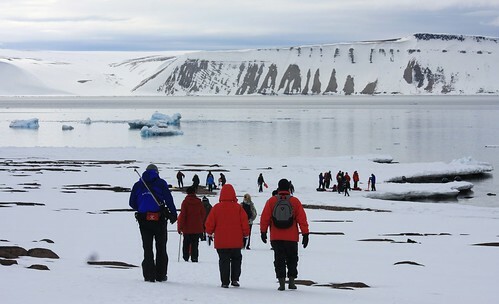 In October approximately 40 Arctic expedition leaders from all over the world and 20 speakers from Svalbard, Greenland, Denmark, Iceland, Norway, Russia and Canada will meet in Copenhagen to discuss how to conduct sustainable expedition cruise operations in the Arctic. The conference is organized by the Association of Arctic Expedition Cruise Operators (AECO) in cooperation with Visit Greenland and Cruise Iceland and, with financial support from the North Atlantic Cooperation Fund (NORA) and the Danish-Norwegian Cooperation Fund. The focus of the conference is on how to add value for the mutual benefit of both the local communities and the visitors in the Arctic. ”What we ultimately want to achieve with the conference is to bring all parts involved with expedition cruise tourism together in order to get a hands-on discussion about how to collaborate even better for the future.” says Ilja Leo Lang, Project Manager with AECO. AECO is an organization safeguarding responsible, environmentally-friendly and safe expedition cruise Tourism in the Arctic. A majority of the expedition cruise operators in Svalbard and Greenland are members of AECO, which currently have 31 members. 21 of which operate approximately 26 expedition cruise vessels all over the Arctic. AECO’s members have committed themselves to act sensibly and according to the strict rules and regulations in the vulnerable Arctic region. AECO has developed a comprehensive set of guidelines for Arctic operations, which AECO-members are obligated to operate in accordance with, and also publish visitors-, site-specific- and wildlife- guidelines.